The smartphone market is very mature these days, making it damn near impossible for a device to stand out. Even Apple’s polarizing notch is being adopted by countless Android smartphone manufacturers, making that unique thing very common. Hell, we are approaching the point where not having a notch will be odd! Today, HTC announces its newest smartphone, and believe it or not, it doesn’t have a notch. Called the "U12+," it has all the fantastic specs you'd expect from a flagship, but unfortunately, its overall design is a little bland. Don't get me wrong, it doesn't look bad, but it is just very uninspired. It does have the second generation of HTC's cool "touch sense" technology, however, which lets you squeeze the phone's edges to interact with the OS. "Equipped with the Qualcomm Snapdragon 845 Mobile Platform with X20 LTE that will extend the way people see, hear, and interact with the world around them. It is engineered to shatter performance expectations and connect you at beyond Gigabit LTE download speeds without unnecessarily compromising battery life. 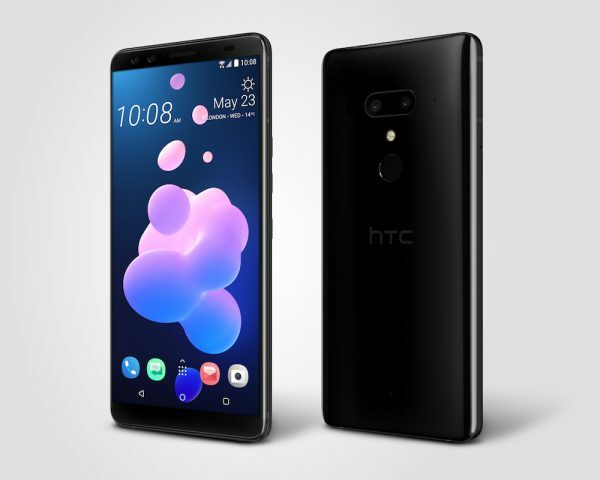 With 6GB RAM standard and up to 128GB storage, the U12+ shatters expectations of the power and performance you can expect from your phone," says HTC. The company further says, "Two cameras on the front and back deliver beautifully artistic photos with DSLR-like bokeh. UltraSpeed Autofocus 2 includes full sensor phase detection autofocus and new laser autofocus to ensure you never miss your shot, while HDR Boost 2 lets you take fantastic photos in any lighting condition. The main camera's 2x optical zoom and 10x digital zoom for photos means you are always ready for a close-up, while video with Sonic Zoom lets you 'zoom in' on a sound or voice so you are truly the director of the scene. And with one-touch auto zoom, it’s almost like you have Hollywood in your pocket." HTC shares the following significant specifications. The HTC U12+ is available for pre-order immediately. The Translucent Blue model is available with two storage options -- 64GB ($799) and 128GB ($849) -- you can get it here. The Ceramic Black variant is 64GB only and can be had here for $799. HTC is also producing a "Flame Red" variant, but it will apparently not be sold in the USA.